The vitamins and minerals found in KIKI`s Maca contribute to immune system support, energy levels, muscle function, iron absorption and a healthy digestive system. Maca is a robust root vegetable that has been consumed by the Indigenous people of the Andes for centuries. It is said that the Inca warriors would eat it before going into battle. It grows at high altitudes away from environmental pollution. 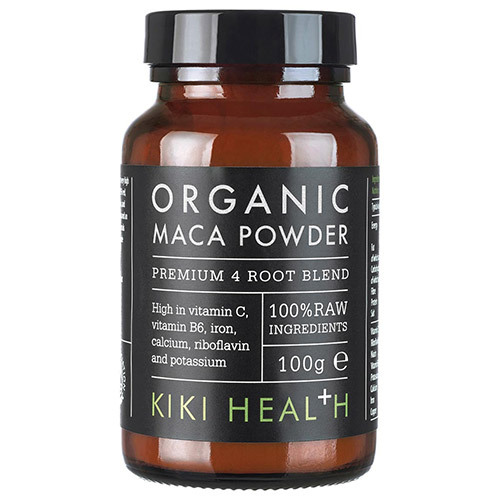 KIKI`s Organic Maca Powder is a unique combination of 4 maca varieties, combining all the benefits of all 4 roots. Maca is a complete protein with 19 amino acids, 20 different fatty acids, alkaloids and an assortment of vitamin C, B1 (thiamine), B2 (riboflavin) and vitamin E with minerals iron, potassium and calcium. Add one teaspoon to yoghurt, cereals, smoothies or desserts. 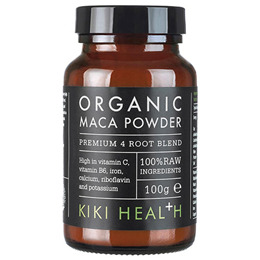 Below are reviews of KIKI Health Organic Maca Powder - 100g by bodykind customers. If you have tried this product we'd love to hear what you think so please leave a review.